End of the workshop – stepping forward 1-2-3.. Marking the end of the workshop was an evaluation of the workshop. All in all everyone had learnt something new through the mindset of gaming as well as the serious work with death studies, remembrance and cemetery culture. The next step is to write up an paper based on the approach and experiences, both good and bad, using the cemetery as a playground for research and fun. 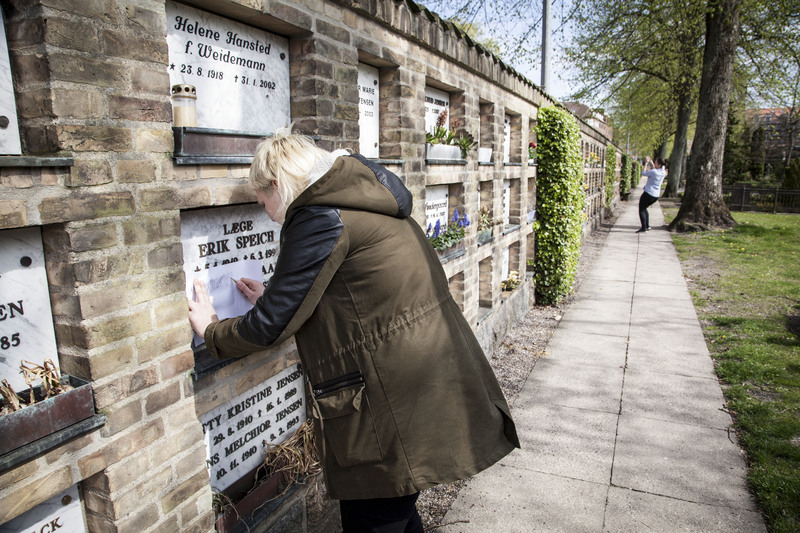 As site the cemetery holds many stories, rituals and emotions –some are visible, some are hidden, but most are tacit – they might benefit from using new tactics of communication and dissemination… Urban gaming as prototyping could very well be one of them. Thank you for a fantastic workshop. Thank you goes to the Obel Foundation for funding, Huset in Hasserisgade for letting us use their conference facilities next to the cemetery, Aalborg Municipal department of cemeteries and Ewald the crematorium worker/gardener. A very warm thank you goes to the students from Art and Technology and Interactive Digital Media who have participated with high motivation and hard work and last but not least Zane for running around with her camera documenting our every move. Next time Almen Cemetery will be used as playground for experimentation will be Culture Night 2014. Until then, Memento Mori but have fun while doing it! 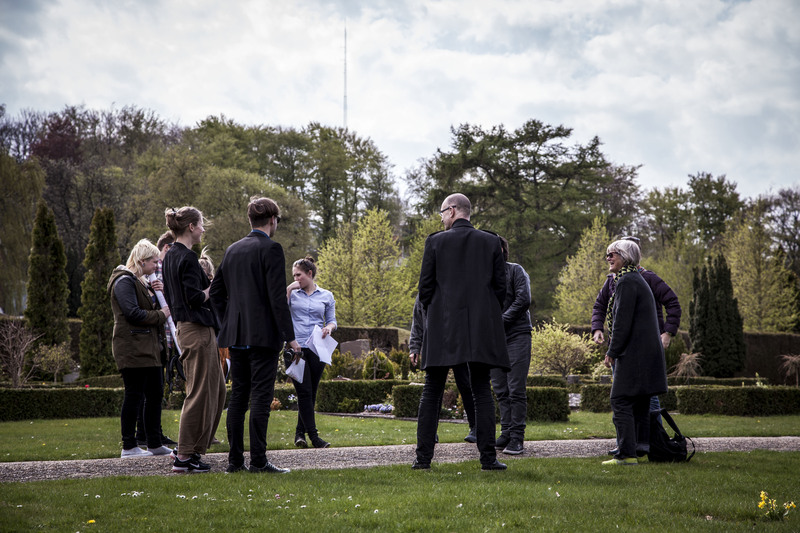 The accumulation of 2,5 days of workshop was marked with the premiere of “Playing the Graveyard” at Almen Cemetery, Aalborg at 13.30. The goal of the event was twofold – to explore both the site as a playground of experience as well as to find ways of gathering empirical knowledge based on haptic movement, emotional responses and social media used in gaming. 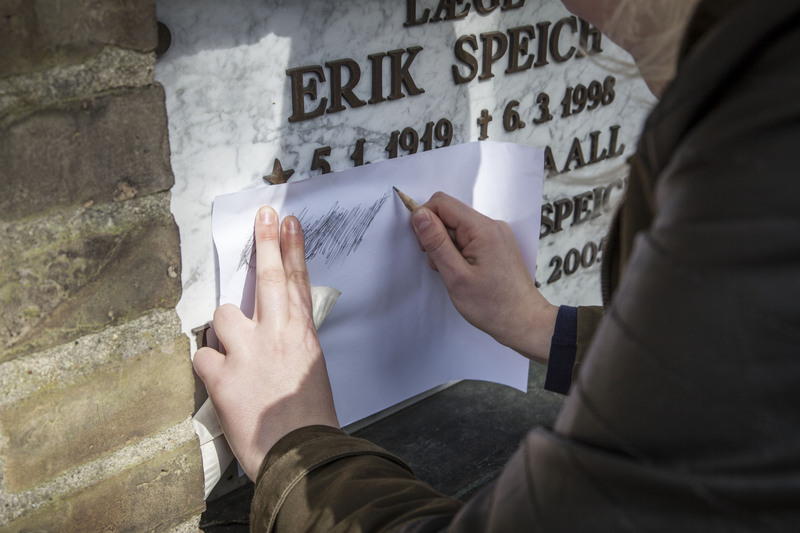 In total 8 gamers intervened at the cemetery with the help of the workshop students. Smartphones and numbers were exchanged and applications downloaded in order for the games to be playable. After a short introduction by the organizers teams were selected and the games initiated. A restless ghost is in dire straits and appears in front of a citizen outside the cemetery gates. By finding, frottage and exchanging matching letters and names between the two worlds, over the cemetery wall, the living may enter the land of the dead to pursued his/her quest– but do not drop the depeche or the connection is lost between the two worlds. The first team of 2 players (one outside and one inside) who get their paper roll approved wins. To follow the social media guru and achieve true enlightenment each participator must ask the others for “likes” through WhatsApp messenger. A request gets you one step forward but cost impairment by using tape on the fingers used to touch the screen of the smartphone. Upon liking others you get one step further. When you are rendered helpless with regard to the touch screen you can request for a “digital suicide” – but you need at least three other players to agree – but then you loose all constraints and can run towards the goal, enlightenment. Let the like hunt begin! 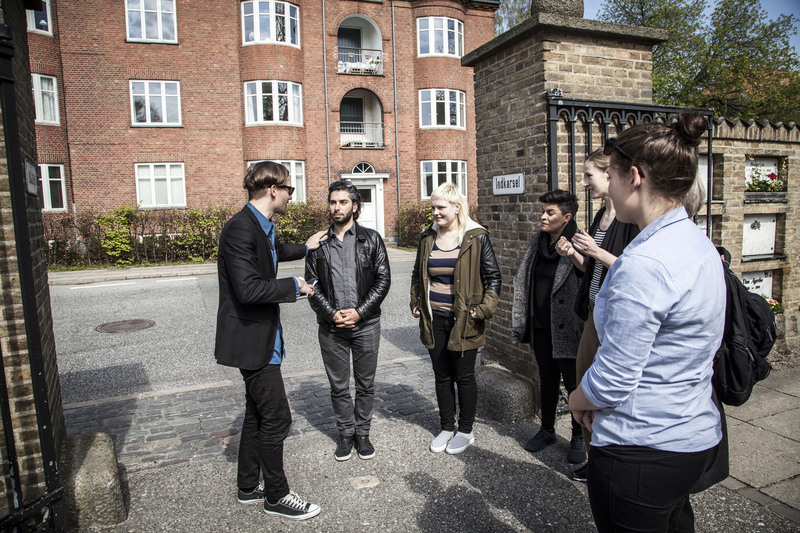 Taking on the approach of a research game, players walk forward while answering questions regarding their use of social media and facebook, noting it down on paper, making decisions based upon their everyday media experiences. Second part of the game is now to decide what one would like others to do with the personal social media profile once you are no longer here. The answers of each participator is noted down and kept for writing a research report on the topic. Game 4.”Find the symbol of life”. Ghost can be granted life once again. They need to engage with one of the relatives that live in the city. Using spectral visions and telepathy they work together to convince the “divine” power guarding the threshold of living and dead to grant the dead life one more time. Using WhatsApp messenger features, the gatekeeper asks for symbols that resemble elements present in life and death. Without words or text just using images the living and the dead try to match symbols on topics such as life, death, religion, profession, passage and many more. The first team to reach three best matches and beat the other restless ghosts, are granted the wish of being together again. So think carefully before choosing symbols – not too obvious, not too abstract they have to match between the worlds. After 2 hours of gaming in the sun, running around on paths, noting down names, stepping inside gravesites, laughing, texting, shooting pictures, jumping the participants help evaluate the games based on their immediate experiences. 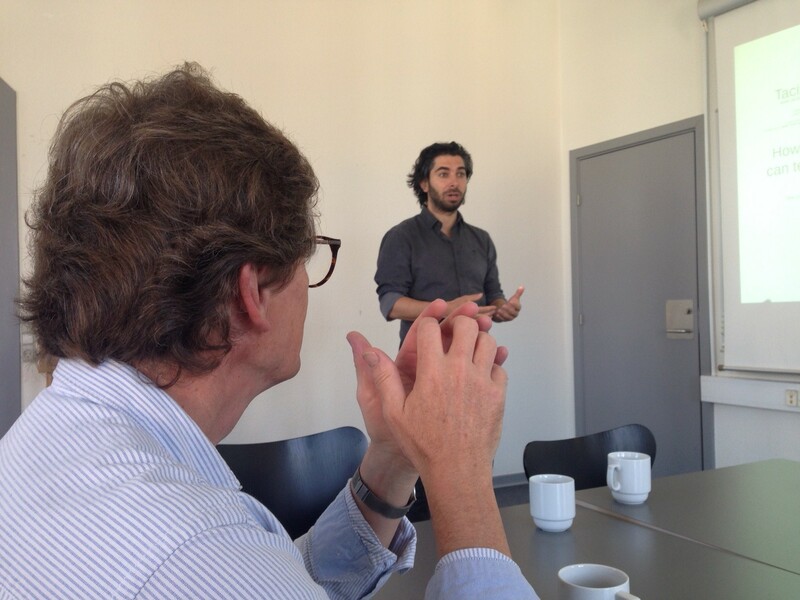 As part of the dissemination of the workshop Viktor and Jakob were at the Instant Urbanism Network meeting at the Department of Architecture, Design and Media Technology to present the workshop approach on site exploration, mapping and experimentation. The overall approach of urban gaming as prototyping was well received by the small audience present. Of special interest were the discussion of the links back through urban studies and theoreticians such as Robert Venturi’s Learning From Las Vegas, “Detournement” and “Derrive” by Situationist International and the mapping by James Corner. Urban gaming was discussed both from the more performance oriented approach but of more interest was urban gaming seen as a method to prototype the use of space and map perceptions of the city, its elements and scale. The morning was initiated with a quick game of ”Ninja” in the backyard of Huset to get everybody in shape for a day of preparation and gaming. 4 games were prepared for the game event at the cemetery: ”Enter the cemetery”, ”Digital Suicide”, ”Digital Tombstone” and ”Find the symbol of life”. The game rules needed final tuning, and quick test rounds were run before finally the last materials were gathered, wrapped up and preparing before the arrival of curious spectators and engaged participators. Through the workshop we have gained a new view on how you can play a game which that is not based on physical interaction with others participants. It is possible to have a similar experiences playing it only through the social media,internet. You can be in another location but still have a feeling of playing the game in a group. It is possible to create this connected using different approaches. Working with the prototypes and testing them out is a good way to investigate different game scenarios – you get to see what works and what does not. Also the group evaluation of the prototypes straight after testing gave us much information about our game. Even in a game that in theory seemed to be finished, we could find error. They appeared only during the testing process. Also important part of the game development was testing them on people who were not participants of the workshop as they had a different view and experience. Tomorrow, Friday, will be the big day where the games will revealed to the public as part of the premiere “Playing the Graveyard”. 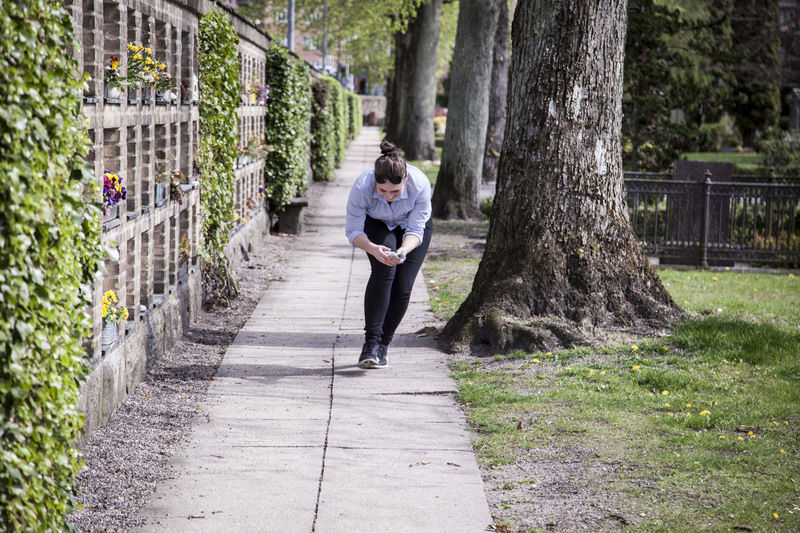 Guests, visitors and people at the cemetery will have the chance to take part in games that all deal with mortality and the cemetery as site. Hopefully they will contribute to the personal and shared experiences across ages, professions, cultures and context –and with loads of fun, using the body as well as the mind. GAME ON!